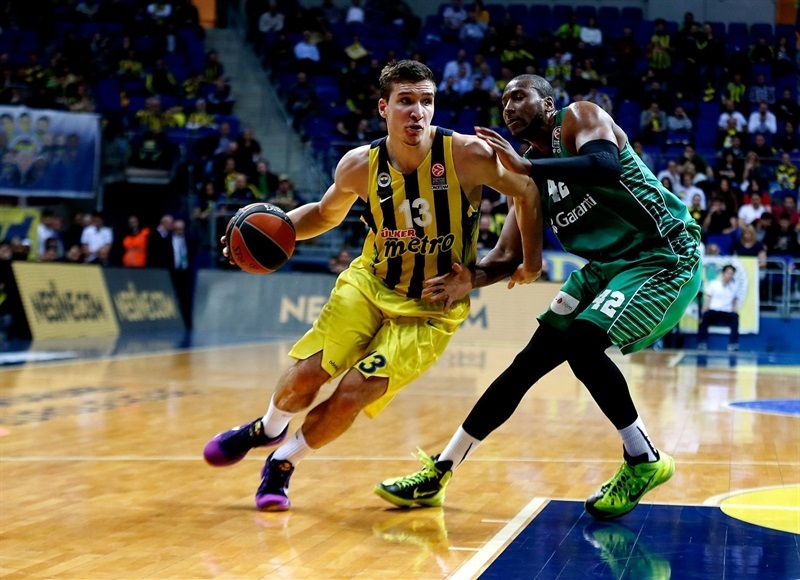 Fenerbahce clinches home-court advantage in playoffs! 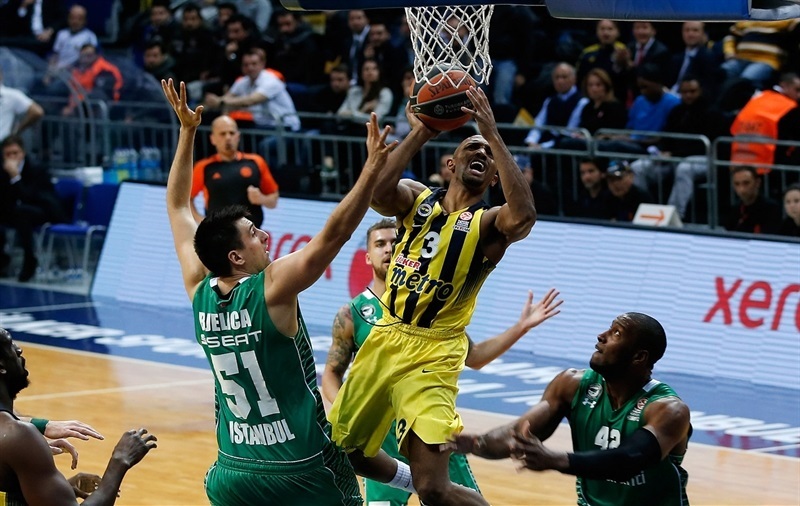 After becoming first team to qualify last week, Fenerbahce Istanbul downed Darussafaka Dogus Istanbul 77-69 on Thursday to assure itself home-court advantage in the playoffs, and later found out it clinched first place in the group, too. 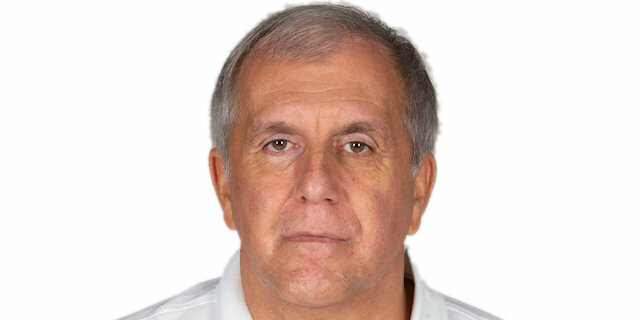 Fenerbahce also extended its home winning streak to 18 games with victory that improved its record to 10-1 in Group E. When Lokomotiv Kuban Krasnodar lost later Thursday, Fenerbahce clinched first place in Group E, too. Darussafaka dropped to 3-8 and is all-but mathematically eliminated from a playoff race. Darussafaka's 0-13 run that bridged first and second quarters put the visitors ahead 25-31, but Fenerbahce did not allow a basket for 6 minutes after that while Jan Vesely and Ricky Hickman fueled a 14-0 run that put the hosts up 45-39 at halftime. The visitors had a strong start to the third quarter and the teams traded leads until Bogdan Bogdanovic stepped up, scoring and dishing assists. 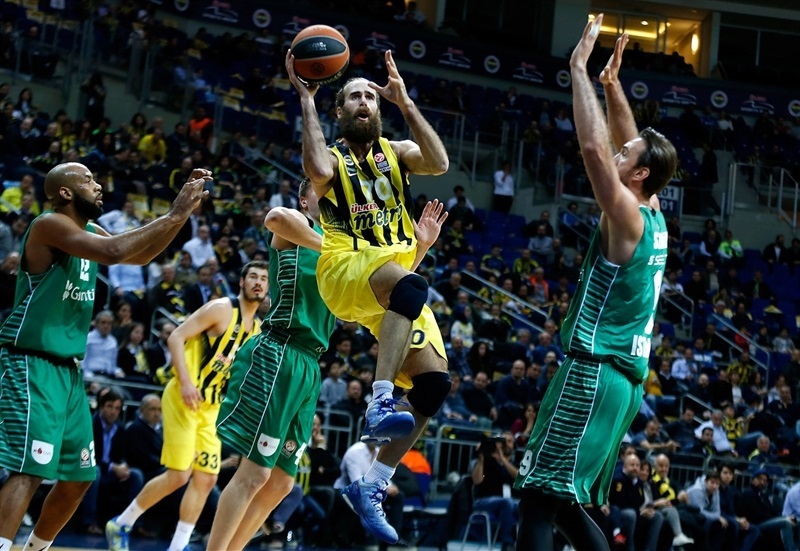 The visitors never went away, but Luigi Datome never let Fenerbahce relinquish the lead as he scored 9 of his 14 points in the fourth quarter. 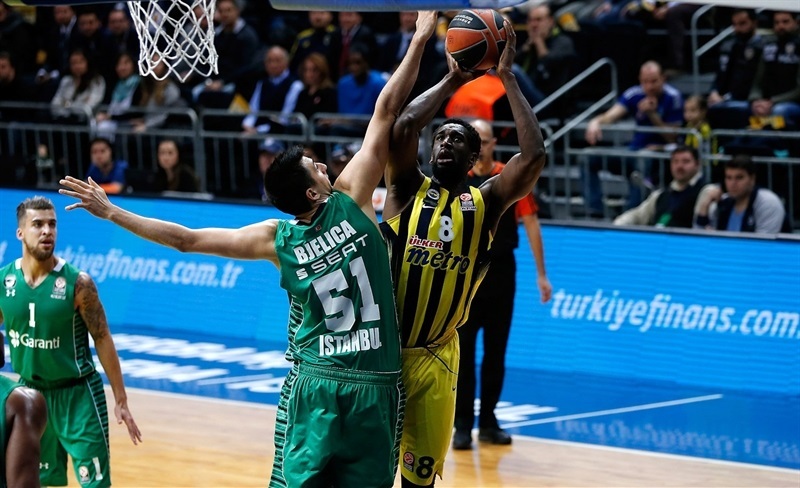 Ekpe Udoh had 18 points and 6 rebounds in victory, Hickman finished with 12 points and 5 rebounds, while Bogdan Bogdanovic added 11 with 4 assists for the hosts. 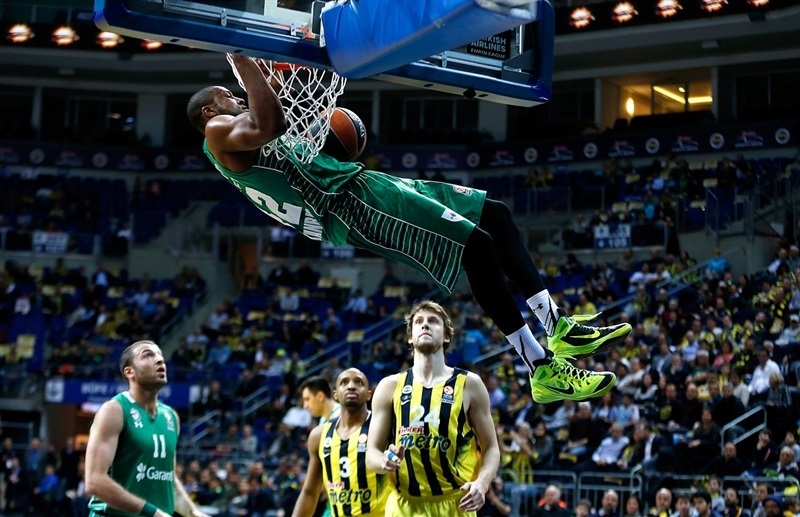 Reggie Redding scored 12 for Darussafaka, Scottie Wilbekin had 11, and Mehmet Yagmur 10 in defeat. 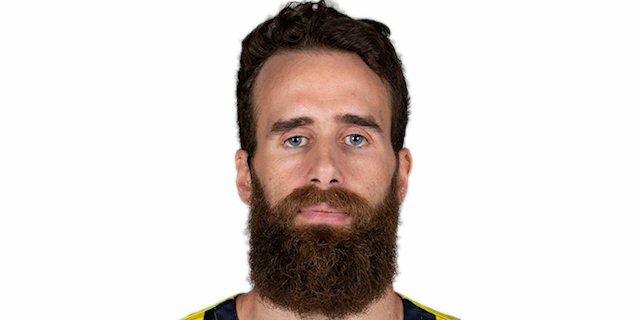 Nikola Kalinic buried a shot from long range and Udoh scored in close as Fenerbahce jumped ahead 5-0. Redding's jumper opened Darussafaka's account, and after Udoh hit a jumper of his own, Yagmur drove the lane for a layup to get the visitors within 4-7. Kalinic next triple made it 10-4 before Redding scored from close range and Luke Harangody fed Semih Erden for a one-handed slam. Bobby Dixon buried a triple for the hosts, and after Redding answered with a very long two, Datome also hit from the arc to make it 16-10. 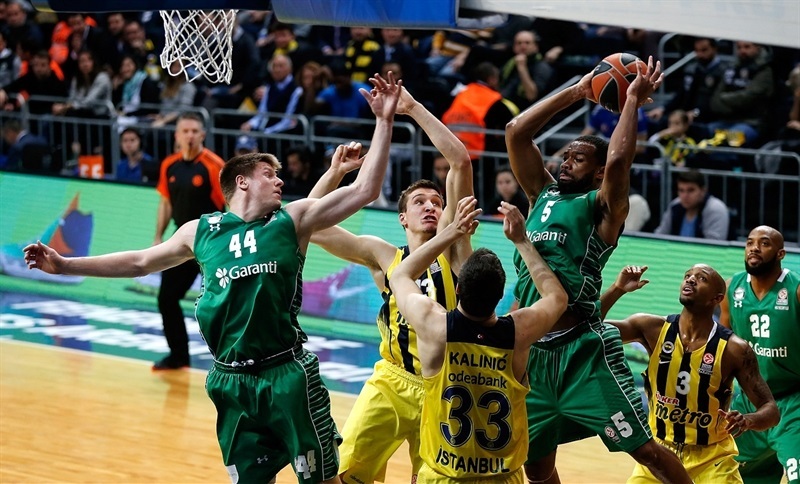 Harangody scored a reverse layup, but Udoh's jumper kept Fenerbahce's offense rolling. Redding made a put-back, but Udoh's big dunk extended the difference to 22-14. Yagmur and Bogdanovic traded triples, but in the waning seconds, Wilbekin hit one from way downtown for Darussafaka, cutting Fenerbahce's lead to 25-21 after 10 minutes. Manuchar Markoishvili knocked down a three that tied the game at 25-25, before a pair from the same distance by Wilbekin and Milko Bjelica suddenly gave Darussafaka 25-31. 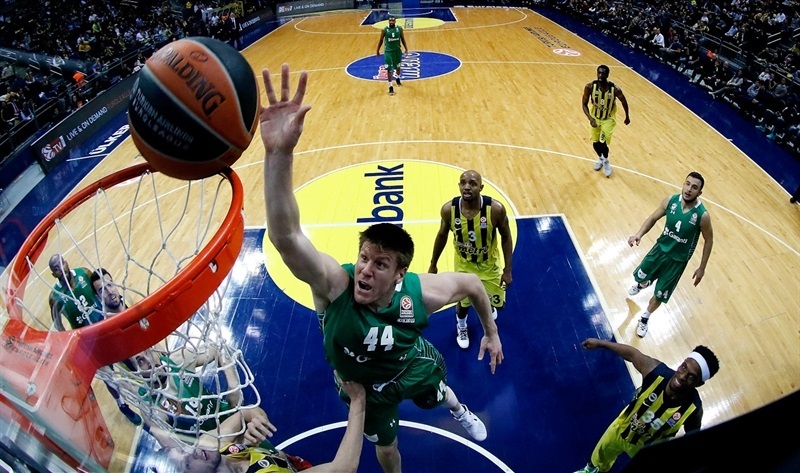 After a Fenerbahce timeout, Jan Vesely hit a jumper to snap a 0-13 Darussafaka run. Marcus Slaughter threw down a monster-slam for the visitors, but Hickman from the foul line and Vesely with a baseline jumper got the hosts within 31-33. After a Darussafaka timeout, Vesely scored from close range, and Hickman first hit a jumper before feeding Udoh for a layup to help put the hosts in front 38-33. Hickman’s three-pointer made it 41-33, and the hosts kept Darussafaka scoreless for almost 6 minutes before Redding nailed a jumper that stopped Fenerbahce's 14-0 run at 41-35. Dixon scored a driving layup high of the glass, and after Harangody countered with a tip-in, Hickman drove for a layup. Harangody’s basket inside before the halftime buzzer cut Fenerbahce's edge to 45-39 at the break. Erden scored from close range to start the third quarter, but otherwise both teams struggled offensively. Fenerbahce needed almost 5 minutes to score its first points of the quarter. During that span Erden had a dunk and Redding a fastbreak layup to put Darussafaka in front, 45-46. 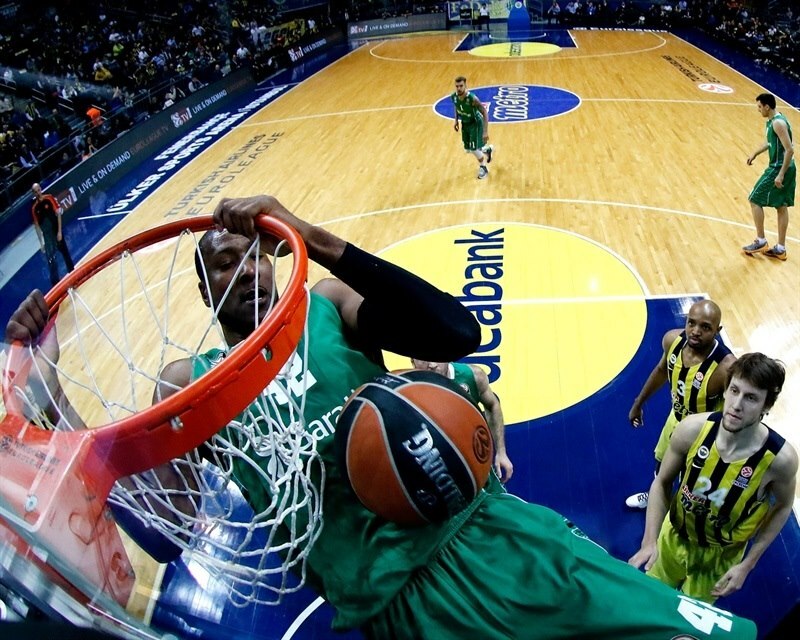 Udoh scored inside to snap Fener's drought, then made a steal that led to Hickman's fastbreak dunk. But Harangody made a shot inside and Jamon Gordon a second-chance basket to keep Darussafaka up, 49-50. Gordon scored twice more, stringing together 6 points, but Bogdanovic knocked down a three-pointer, then fed Udoh for a dunk that made it 57-54 after 30 minutes. Bogdanovic nailed a triple at the start of the fourth stanza. Yagmur made his way inside for a two layups on either side of Vesely's short turnaround jumper to make it 62-58. 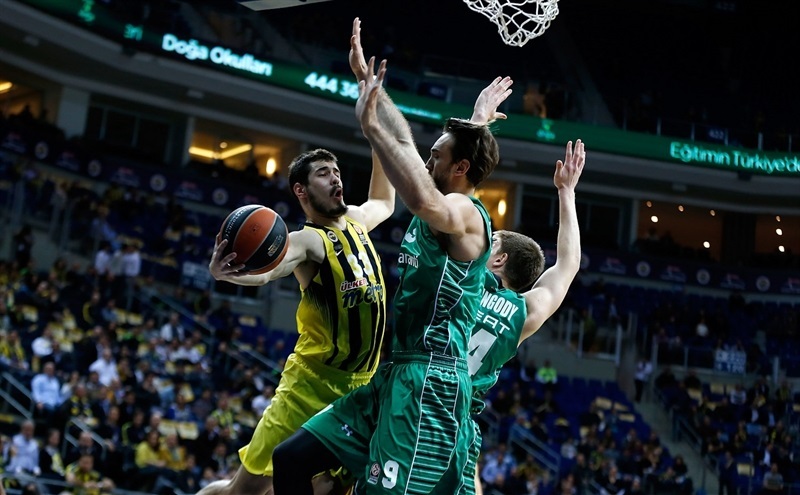 Datome made a fadeaway jumper for the hosts, and Bogdanovic added a pair of free throws to double the difference to 8 points, but Bjelica's triple and Wilbekin's driving layup got Darussafaka within 66-63 midway through the fourth, forcing a Fenerbahce timeout. After Bogdanovic fed Udoh for a layup, Wilbekin and Datome traded three-pointers. Udoh made a pair of foul shots before Markoishvili hit a corner three-pointer to make it a 70-66 with 2 minutes to go. After each team misfired on a three-point attempt, Datome picked up a loose ball and banked in a mid-range shot as shot-clock was expiring, making it 72-66 with 56 second to go. 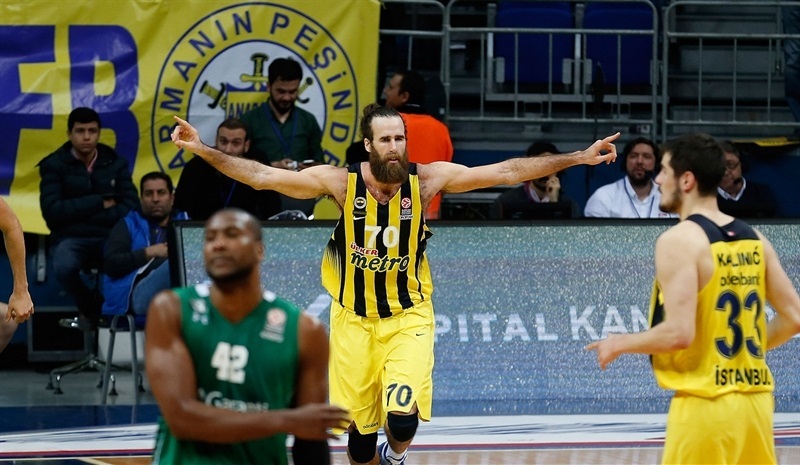 After a timeout, Datome’s put-back rounded out the scoring as Fenerbahce fans celebrated another win.